Here's an easy recipe that takes a little twist on the standard bacon & egg breakfast. This is a simple quick recipe. Precook your bacon until it is lightly browned. Then take out your frozen crepes and allow to defrost until it is foldable. Place the crepe on a greased pan. Crack one egg over the crepe, and then place a slice of bacon on top. 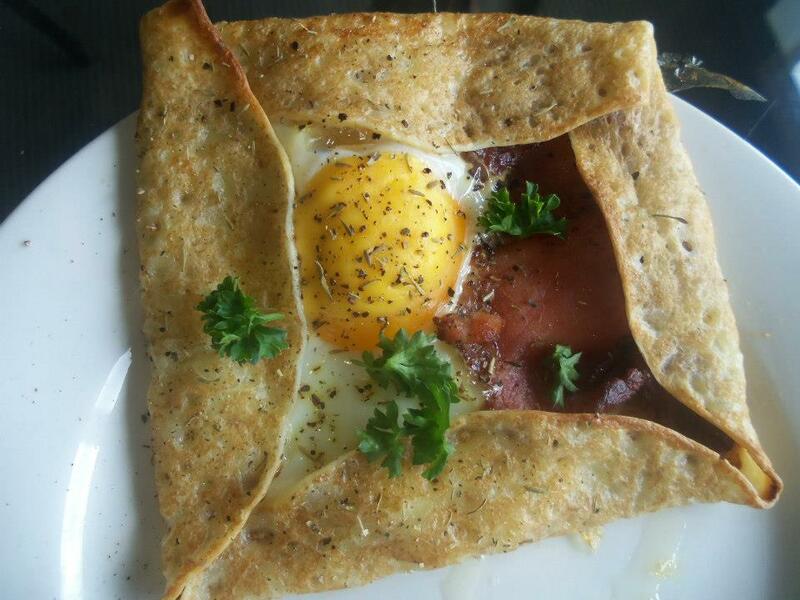 Fold the crepe on each of the four corners. Lightly season with salt and pepper. Place crepe in oven and cook until crepe is golden. Garnish with parsley and serve.